Afterwards you need to run the "./buildme" again. I found it died within 1hr on my tests, so if the fix lasts much longer that a good sign. Yes, it has run now for more than 5 and did not fail. The fix looks good to me. Yes, this was my guess, too. Running since then without issue. I just used LL instead of ULL. Topic: Is there any photo/video of flying rifle bullet done with v2 camera? Re: Is there any photo/video of flying rifle bullet done with v2 camera? 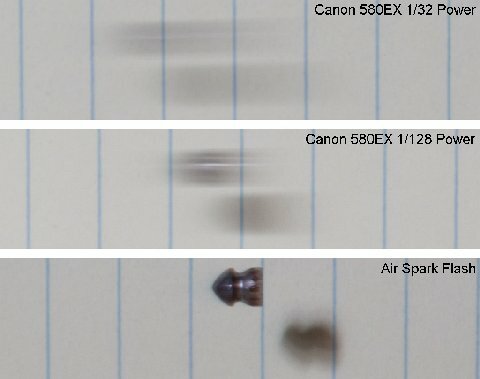 Yes, its boring, but it is the reason why you can't easily capture bullets with consumer grade cameras. Most cameras start with a minimum exposure time of 1µs, even the normal high speed cameras you can get in Europe. The Phantom cameras are limited to 1µs if you want to import them. Topic: arecord through ffmpeg possible? Re: arecord through ffmpeg possible? bcm2835-v4l2. It is an small L and not a 1. The module should be available on your pi zero, too. It is short for "video for linux two". Two cameras and a compute module? But Hermann's posts usually are for high framerates and thus for shorter exposures? Did you try any of the other resolutions/framerates? Are you running out of disk space? If you write an image and the file gets truncated you could end up with something like this. Is this the image saved directly or the processed one? Did you make sure that a+c and b+d are between 0 and 1?